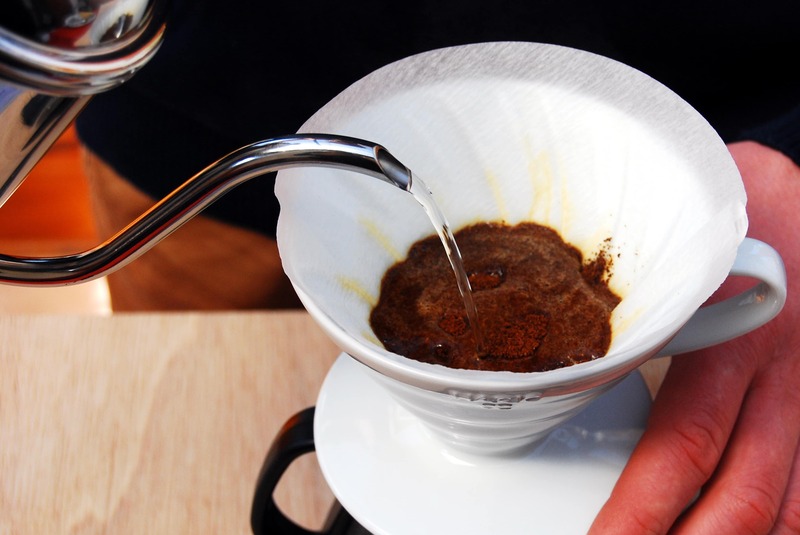 The pour over is one of the most common methods of coffee preparation. We all now the Melitta brewing cone, whose filter paper used to be made of blotting paper. With the so-called third wave and the emergence of specialty coffee, pour-over methods like Hario and Kalita filters or Chemex became popular once again. 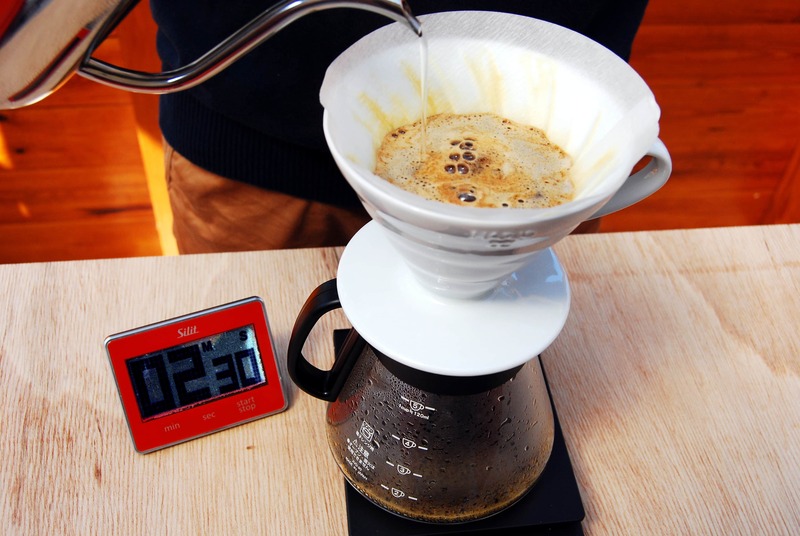 Here we show you how to prepare coffee with the Hario V60. What makes this cone filter special are the grooves and the large hole, which allows the water to flow over the coffee evenly. 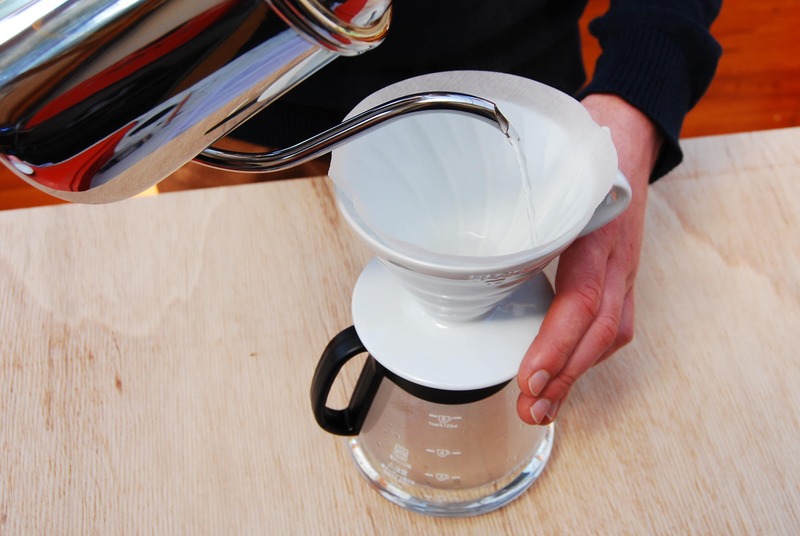 But the basic principle of all cone and pour-over filters is the same. We suggest you use a gooseneck kettle so that you can pour the water over the coffee slowly and evenly. Rinse paper filter (to avoid paper taste) with hot water and discard water used for rinsing. 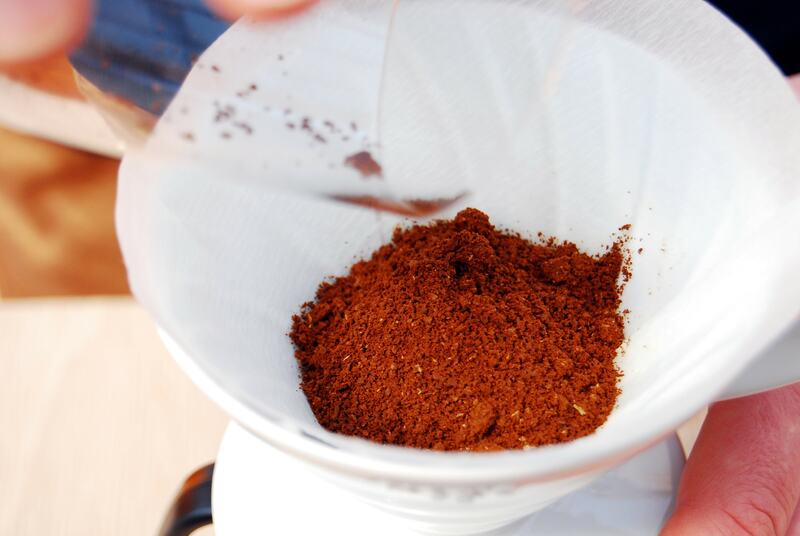 Add ground coffee to filter and make sure the coffee bed is level. You need 5-6 g for each 100 ml. Grind to roughly the size of fine sand. Start timer and gently saturate grounds with hot water (88°–95° C). Stop pouring when the scale reaches about 50g and allow the coffee to “bloom”. Starting in the center of the grounds, pour in a steady spiral toward the outer edge and then back toward the center. 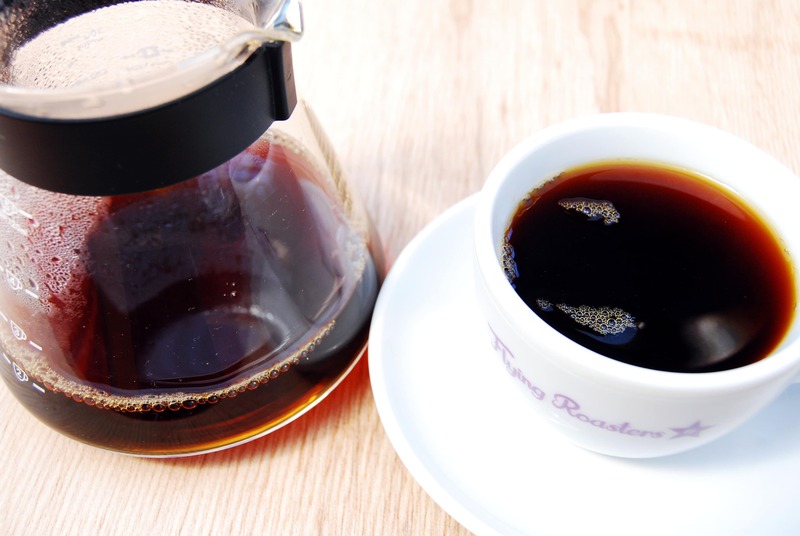 Brew time should be 2 – 3 minutes. This will help you get a coffee that is very clear. The specific aromas come to the fore. If you have any more questions regarding preparation, then you can always get in touch with us. Or you visit our home brewing workshops.